Cook the fish in the oven or steamed or fried or grill? Cooking fish and not altering the nutritional composition of the food is very important, but what are the best cooking methods? Fish can be classified: fat and thin. Fish, both fatty and lean, are excellent nourishment, but fatty fish is considered the best source of Vit. D and Omega 3 fats. 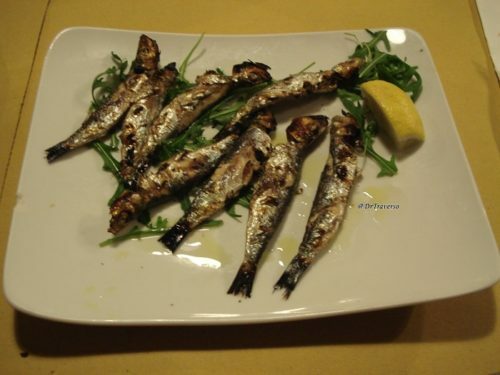 The frying is certainly among the various methods for cooking fish, the most appreciated because very tasty, but unfortunately during cooking the fish absorbs large amounts of fat and if is cooked in vegetable oil increases its amount of Omega 6. Paradoxically, lean fish absorb more oil and fry fat fish, reducing their Omega 3 content. Frying can reduce the Vit.D content, unlike baking, which keeps the vitamin content unchanged and also causes a lower loss of Omega 3. Baking is therefore a healthy method for cooking fish together with the much discussed microwave cooking method. However, it has been found that cooking the fish in a microwave oven prevents loss of omega-3 fatty acids. Another method of cooking fish, very tasty is grilled, but this cooking can lead to the formation of some harmful compounds polycyclic aromatic hydrocarbons (PAHs) and heterocyclic amines (HAs). To reduce the formation of HA and PAH it is advisable to marinate the fish before cooking, avoid cutting the meat, do not cook on a high flame and keep cooking times as short as possible. Steaming and immersion in controlled hot water, even in vacuum, can be considered more valid than baking, because they preserve Omega 3. Fish is an excellent food that brings nutrients to health, and the weekly consumption should be at least 3 – 4 times. ⟵What are the correct food combinations?